NP: UFO Cover-Up by U.S. Government? Although Colonel John Alexander assured that the U.S. government was not engaging in disinformation concerning UFOs back in February 2012, others have a different point of view. It seems that other former military personnel accuse the government that there is indeed suppression of information about extraterrestrial visitors and their intentions here on this planet. Just last week on the 17th of September, Gordon Duff exposed what he believed to be an attack on humans in the Pacific by underwater UFOs not of this Earth (an invasion scenario suggested by the recent release of Battleship (2012)). Could it be that there is a clandestine operative group disengaging in disinformation about what is occurring in the Middle East and between China and Japan? Is there a threat to humanity by an unknown force? Could this explain the massive gathering of warships by all countries in the greatest campaign ever in the history of humanity? Many will take sides and probably ridicule these notions; however perhaps some light can be shed on the present situation. Former USAF Colonel Charles Halt revealed his belief that the U.S government was in fact lying about a secret agency specifically developed to handle E.T. affairs at the Las Vegas National Atomic Testing Museum. In front of a small audience of 200 people, Halt specifically stated “I’m firmly convinced there’s an agency, and there is an effort to suppress.” At the conference, these former military personnel were part of Project Bluebook in the 1950s-60s and part of a new panel of speakers of the program Military UFOs: Secrets Revealed. Halt has been witness to many UFO sightings when he was stationed at RAF Bentwaters military base in England during the 1980s. His belief concerning these events concerning the UFO activity identified was either from another world or another dimension (extradimensional). Although it could be feasible, advanced civilizations capable of creating technology beyond our comprehension would most likely have mastered the superior knowledge in the realms of health and diseases. There would have to be another deeper explanation on why these beings are hesitant to engage humanity openly as seen on Sci-fi shows or Hollywood flicks. Others have shared their feelings and experiences on the subject with the major premise that UFOs are real, if anyone has experienced an encounter to state their name and allow investigation of those who are friendly and willing to help, there are plenty of crackpots and charlatans who claim to have an understanding of the subject, and finally that the panel was composed of military personnel with indisputable evidence and proof of UFO contact. A civilian on the panel from the U.K. also stated that although the government revealed to the public that these sightings were hoaxes during the 1950s, The Ministry of Defense kept a close eye on the UFO community with massive UFO sightings in 1952. Nick Pope, has described the British Royal Airforce tracking hundreds of UFOs after the 1952 paying attention to every report whether false or not. The major argument by all of these former military personnel is that these are real and most some believe a cover-up (Halt) and there are those who state the government is open about their findings on UFOs (Alexander). If this was the case, why then did the Obama Administration decline any disclosure when Steven Bassett (Paradigm Research Group) and Dr. Greer (Orion Project/Disclosure Project) when presented with the petition back in 2011? It seems that more organization between retired military personnel and the U.S. government must be done, as these two conflicting statements add more confusion to the subject. According to the sources, the steps humans are currently working on are “Routine Access to Space Achieved” plateau and the “Biplanetary Civilization Evolves to Exploit Extraterrestrial Resources” plateau. 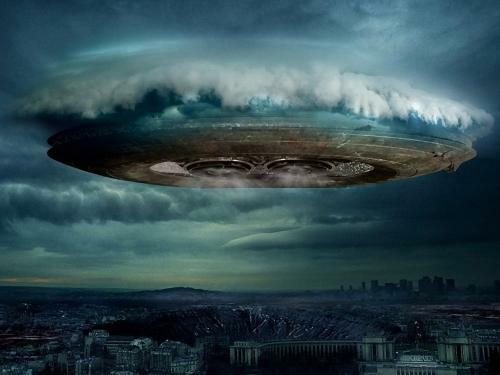 Could this merit UFO opposition on both the sea and from the sky? Are we overstepping our boundaries to not only destroy our own natural habitat on Earth to extract resources, now other species and their worlds? Humans are known to disrupt natural biomes/biospheres and contribute to altering the climate due to our reliance on fossil fuels for the sake of extracting resources for energy. Andrew Moran. “White House officially denies making alien contact in petition.” Digital Journal (November 2011). Robert Johnson. “The Navy Is Sending Everything It Needs For a War with Iran To The Strait of Hormuz.” BusinessInsider (March 2012). Sean Ragan. 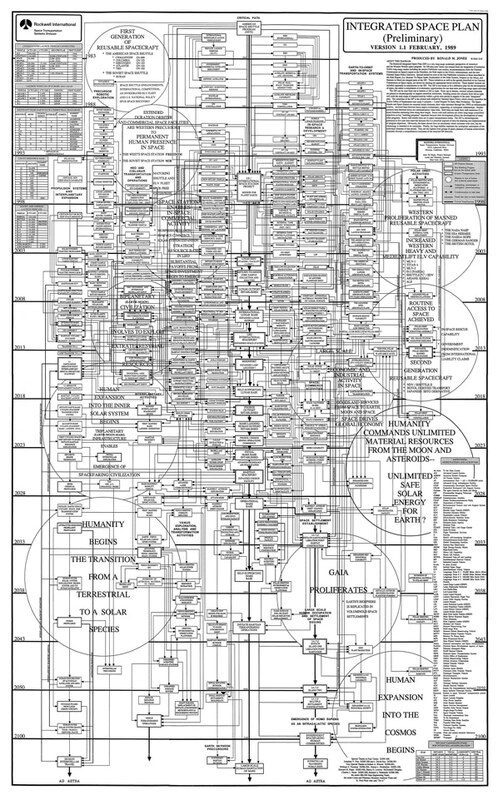 “The Rockwell International Integrated Space Plan.” Make Magazine (September 2012). Robert Tilford. “Largest naval military buildup the world has ever seen.” Examiner (September 2012). © Copyright 2012. James Astrada. Aliens & UFOs – Re: Could All These Pyramid UFO Videos Be CGI.